Bulgarian ice dancers Teodora Markova and Simon Daze debuted at ISU World Figure Skating Championships in Milan (Italy). 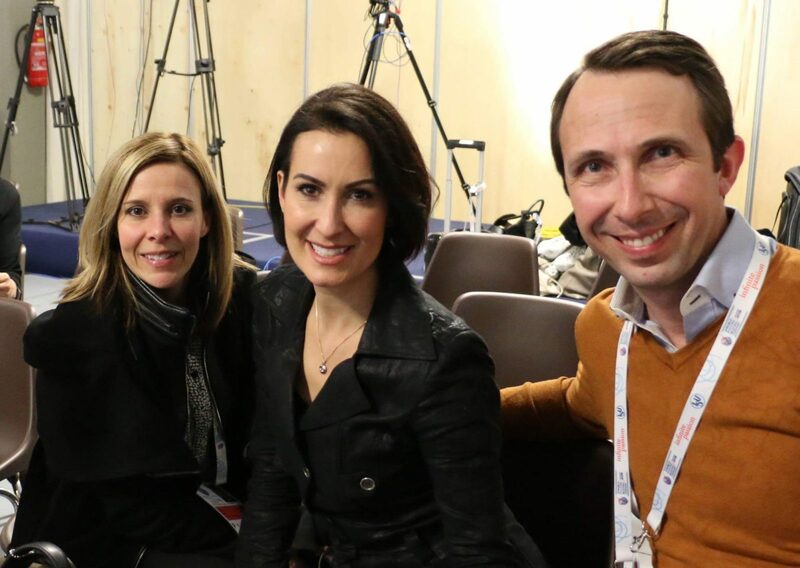 As it is well known they work with the top coaching team now Marie-France Dubreuil, Patrice Lauzon and Romain Haguenauer. With the team mostly works Pascal Denis and in Milan his dancing partner for 18 years Josee Piche. All coaches are in Italy with the eight skating teams. We had the opportunity to ask Marie-France and Pascal about Teddy and Simon. “We are very very happy with their performance. They did amazing debut. Teddy was single skater and they started together 9 months ago. Simon was our skater and had no partner. We immediately liked Teddy. She is so sweet-natured, she always hugs everyone, so we call her Teddy Bear. Thy did well here and at European Championships so I hope this will motivate them to continue. We have a lot more to achieve”, Dubreuil said. “Teddy came highly recommended from her former coach Donna Mitchell. And they are very good team. Both are very serious, hard working and devoted to sport. They are always in good mood and never quarrel. I can say that they have good relationship based on friendship”, Denis added. All published content on the site is under the protection of the Copyright Law. The use and publication of part or all of the site content without permission of the Beauty in Sport is forbidden.